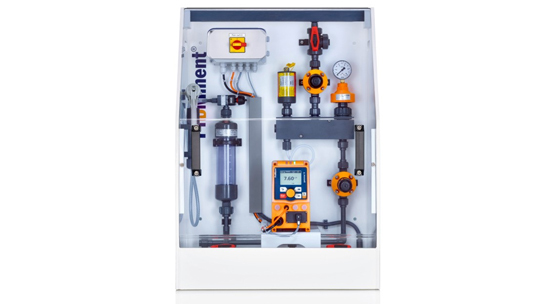 For more than 55 years, the ProMinent Group has been a manufacturer of components and systems in the field of fluid metering as well as a reliable solution partner for water treatment. The Group is headquartered in Heidelberg, Germany. More than 2,600 employees in about 50 own sales, production and service companies as well as representations guarantee service and availability in more than 100 countries all over the world. 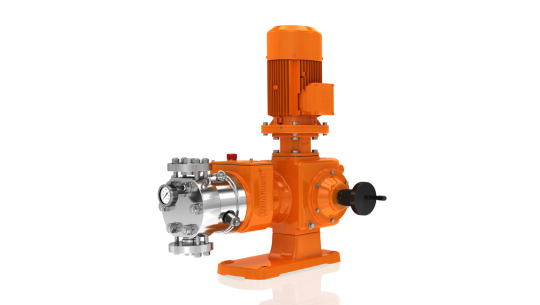 The solenoid-coupled centrifugal pump vonTaine® for the pumping of liquid media works safely and reliably: liquid media are pumped leak-free. 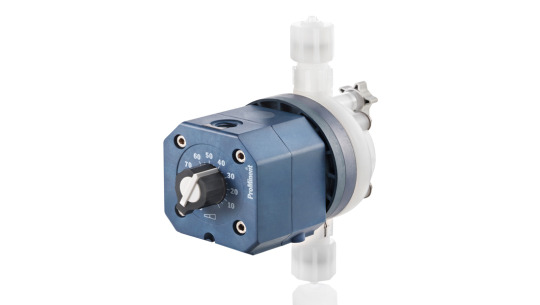 Solenoid diaphragm metering pumps are available in capacities ranging from 0.74 to 75 l/h at a back pressure of 16 to 2 bar. To be able to meter almost any liquid chemicals, ProMinent uses a very extensive range of materials. 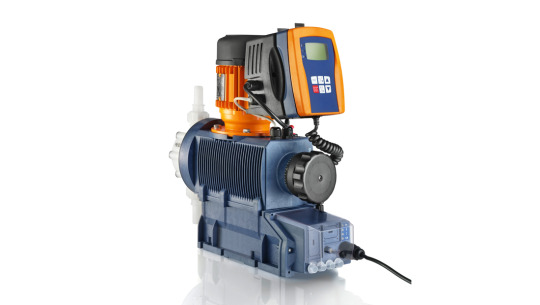 All-purpose solenoid metering pump for metering liquid media in water treatment and chemical processes: Solenoid driven metering pump Beta®. Cost-effective, overload-proof, adaptable to existing signal transducers. 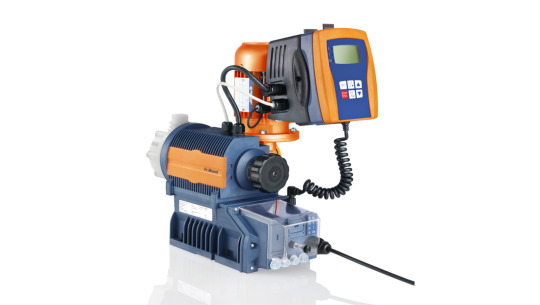 The solenoid diaphragm metering pump gamma incorporates a wealth of eXcellent ingenuity! 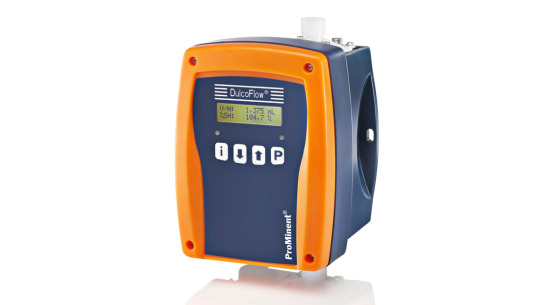 With integrated pressure measurement, it ensures the smooth running of your metering process. The gamma/X is ideal for all metering work involving liquid media. 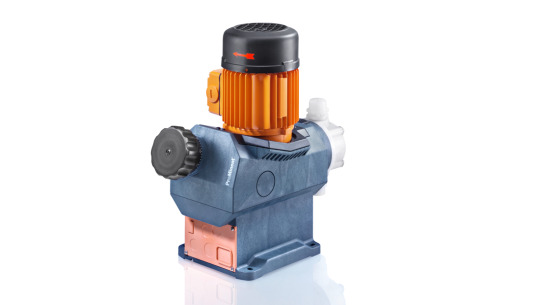 A high-end diaphragm metering pump: The solenoid driven metering pump delta ® is the first of its kind to have a regulated solenoid drive. 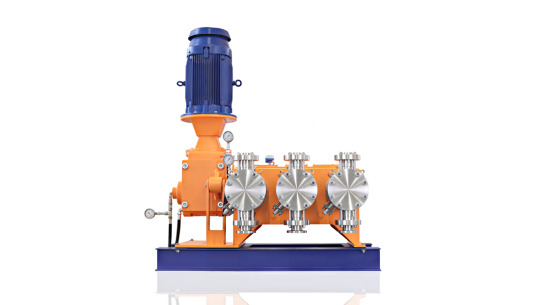 Virtually wear-free, extremely economical and with a self-bleeding dosing head design. 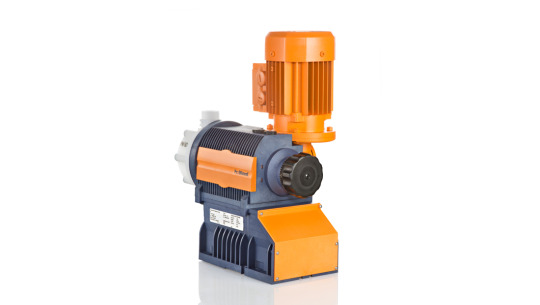 Motor driven metering pumps need to be robust, reliable and able to run on their own without supervision. 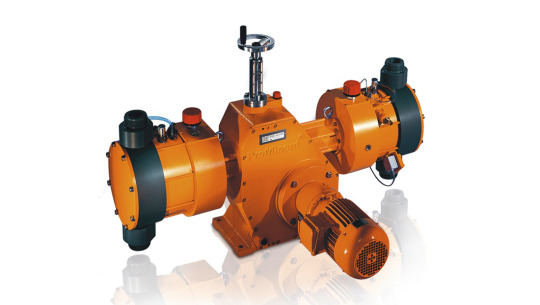 Metering pumps with mechanically actuated diaphragms can be used almost universally in low pressure ranges. And what about servicing? Minimal. Accuracy? Uncompromising. Value for money? The best. 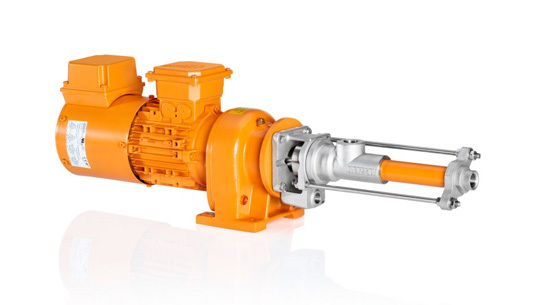 Safe: In the event of an accident, the feed chemical does not escape to the outside nor into the pump's power end, thanks to the patented multi-layer safety diaphragm with optical (optionally electric) signalling. 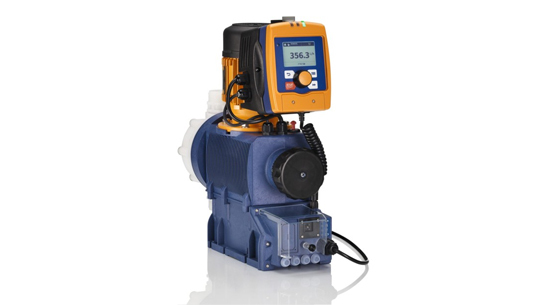 The Sigma / 1 Control can be used flexibly as an extremely robust motor-driven diaphragm metering pump. Excellent process safety and reliability is guaranteed with the patented multi-layer safety diaphragm. Highlights include removable control unit, adjustable metering profiles, as well as a variety of power end and control configurations. 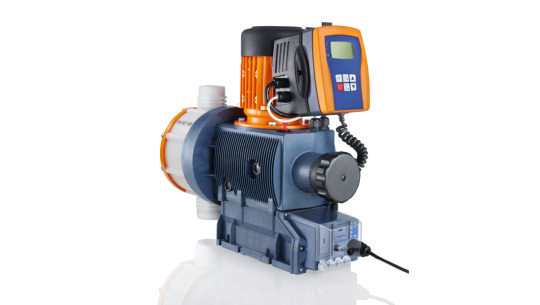 The Sigma/ 2 Control is a robust motor-driven diaphragm metering pump with a patented multi-layer safety diaphragm for outstanding process safety and reliability. 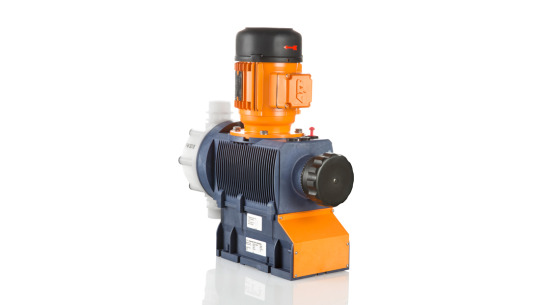 The integrated automatic overload shut-down offers further protection for the pump. 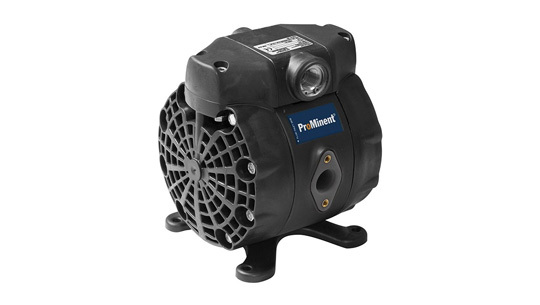 Removable operating unit and adjustable metering profiles enable the versatile use of this pump. 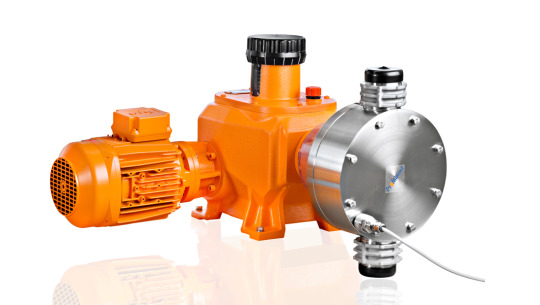 The Sigma/ 2 diaphragm metering pump together with pumps of type Sigma/ 1 and Sigma/ 3 represent an integrated product range. They cover the capacity range from 17 to 1,030 l/h, with a consistent operating concept, control concept and spare parts management. 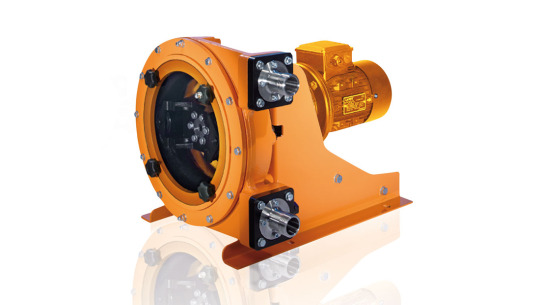 A wide range of drive versions is available, including some for use in Exe and Exde areas with ATEX certification. 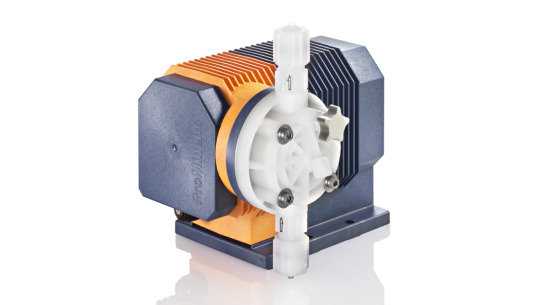 The motor-driven diaphragm metering pump Sigma/ 3 Control guarantees excellent process reliability, thanks to its patented multi-layer safety diaphragm. 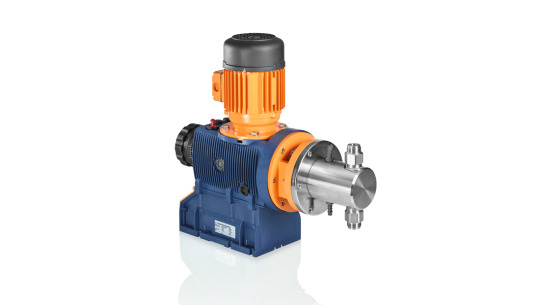 Intelligent features, such as removable operating unit and adjustable metering profiles, as well as a variety of power end and control configurations, enable the versatile use of this pump. 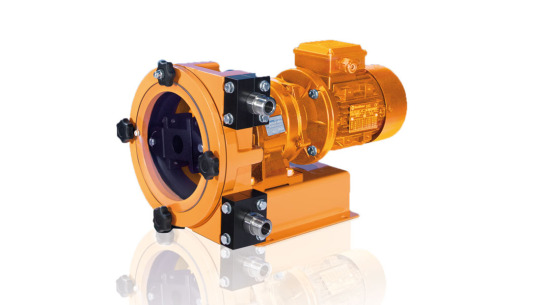 The patented multi-layer safety diaphragm for excellent process safety and reliability is just one feature of the extremely robust motor-driven diaphragm metering pump Sigma/3 Basic. 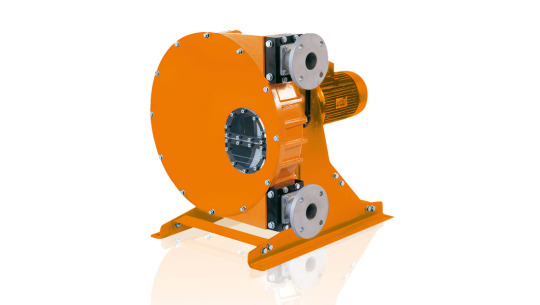 It also offers a wide range of power end versions, such as three-phase or 1-phase AC motors, even for Exe and Exde areas with ATEX certification. 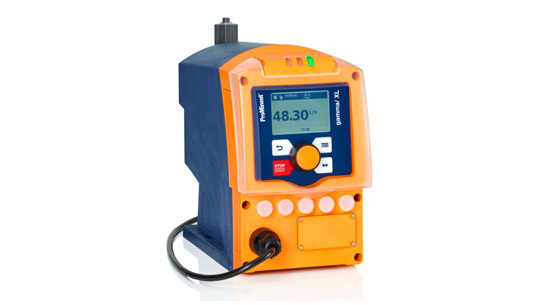 The pneumatic diaphragm metering pump is used wherever there is no available electrical power. The compression stroke is provided by compressed air applied to a diaphragm, which drives the PTFE-coated metering diaphragm. The suction stroke is provided by a spring-loaded force. 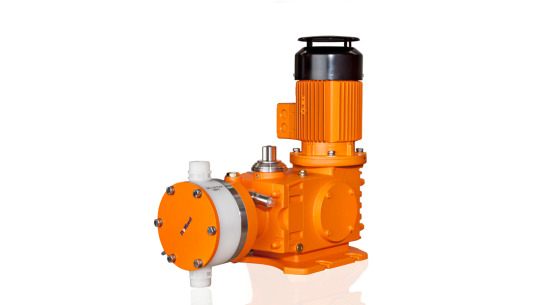 The pump capacity is determined by the stroke length and stroke rate. Typical applications include animal feed treatment, paint spraying and car wash systems and fertiliser metering in horticulture. 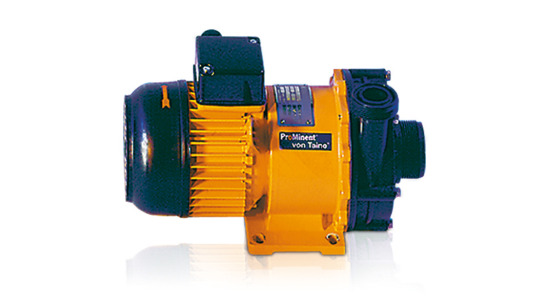 When there is no available electrical supply voltage, our air-driven pump provides an excellent alternative. It achieves stroke rates of up to 180 strokes/min. 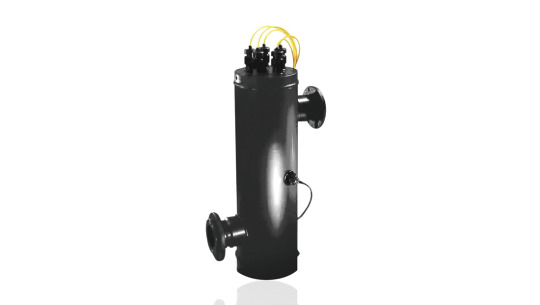 Its spring-loaded valves are also suitable for higher-viscosity media, making it a very versatile solution. It is available in PVDF and stainless steel. 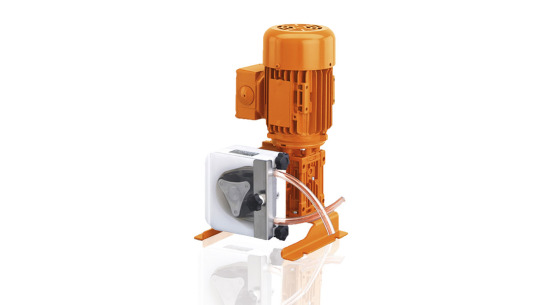 The metering pump Pneumados has a pneumatic power end and can be used in places without electrical supply voltage, with suction stroke performed by spring force. 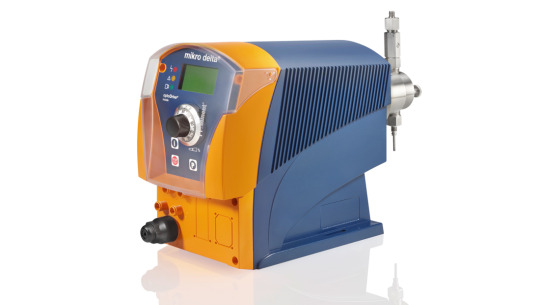 Continuous, highly precise and safe metering in the microlitre range: with the latest generation, the ProMinent precision plunger metering pump. 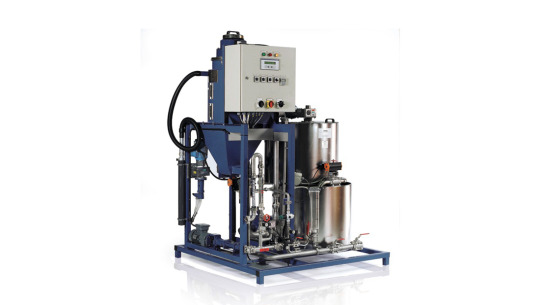 It has an output range of 150 - 1500 ml/h at 60 - 20 bar. 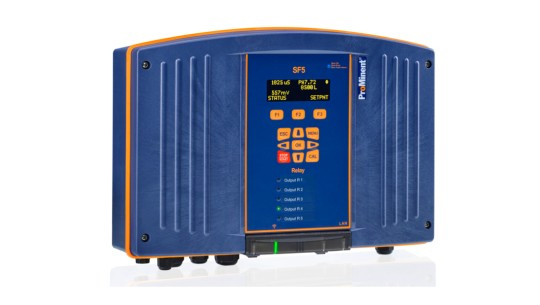 Even single stroke metering up to 1 μl/stroke can be delivered. The stroke rate can be infinitely adjusted from 1 stroke/h to 100 strokes/min. 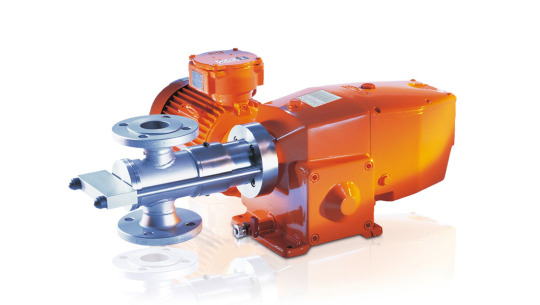 This pump is ideal in situations where very small volumes of liquid (from around 0.02 ml/h) need to be continuously metered, for example in laboratories or the processing industry. Work processes can also be organised with the ProMinent process timer, the convenient alternative to timers or PLCs. 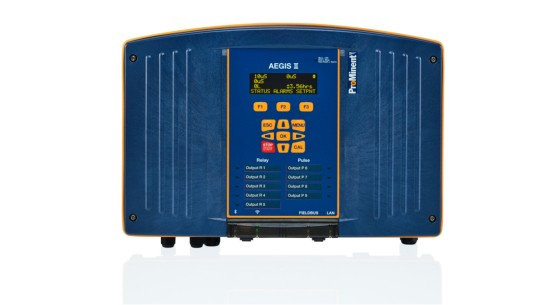 It is also possible to set up a PROFIBUS® interface for connection to process control systems. The only thing our engineers expect to be overwhelmed with is curious questions. 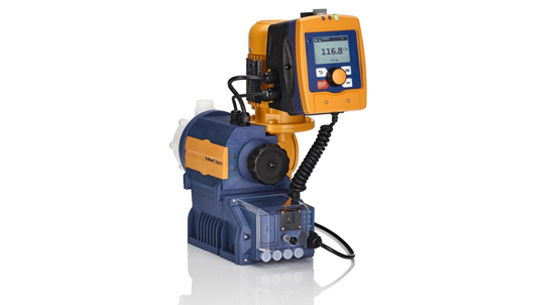 The precision plunger metering pump mikro delta® meters reliably, ultra-accurately and constantly in the microlitre range – one of the latest generation of solenoid metering pumps. Higher pressures can be achieved thanks to half the stroke length and double the stroke rate compared to the previous model. 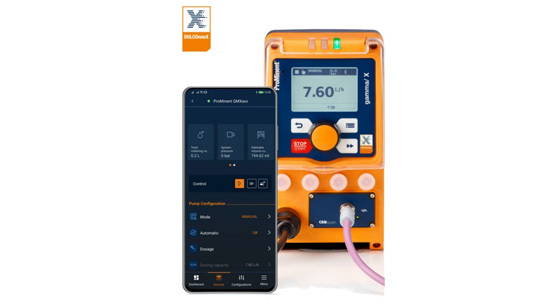 The diaphragm metering pump Extronic® is perfectly suited for the sensitive use of liquid media in facilities with an explosive gas atmosphere as well as for mines at risk of firedamp, as it is approved in compliance with the EC EX Regulation 94/9/EC (ATEX). 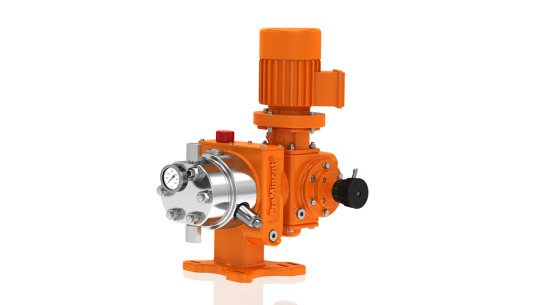 The process diaphragm pump TriPower® is perfect for use in the oil/gas industry or in the chemical industry. It is compact yet high-performance and has a multi-layer safety diaphragm. Its compact design enables it to be installed in the smallest space. 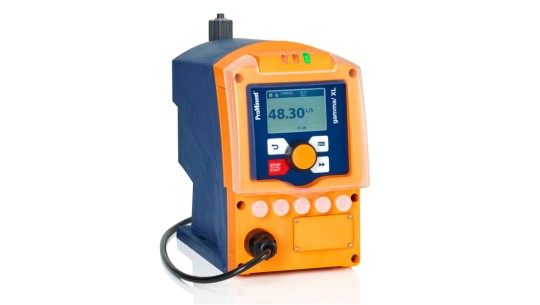 Safe, leak-free metering, even with aggressive, corrosive and flammable media. 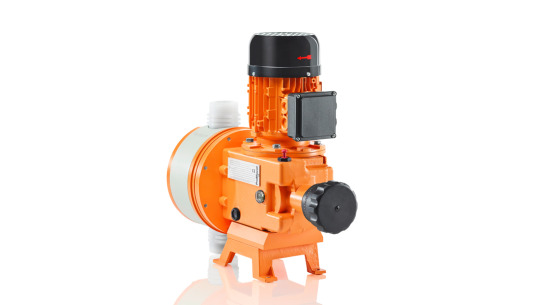 The Zentriplex guarantees excellent performance and provides outstanding efficiency as an oscillating triplex process diaphragm pump, with an extremely small footprint thanks to the space-saving arrangement of the pump and drive unit. It also stands out on account of its efficiency, as minimal material and labour are required. 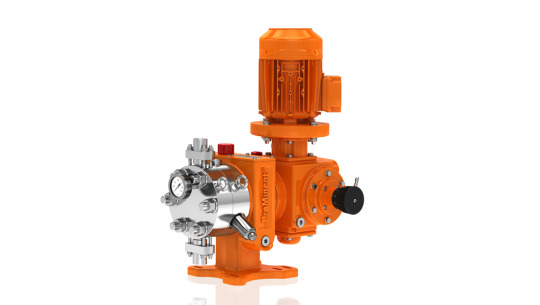 The Orlita® Evolution 1 meets the highest safety requirements as an extremely robust hydraulic diaphragm metering pump. 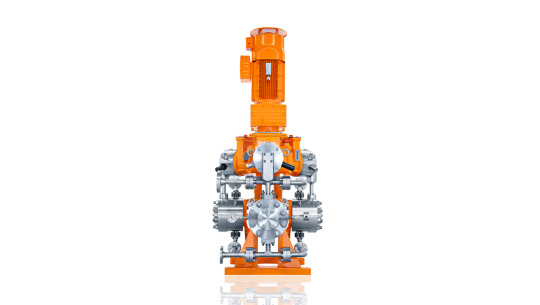 It stands out, thanks to its PTFE multi-layer diaphragm with integral diaphragm rupture warning system and unique diaphragm position control. Its modular construction offers extremely good flexibility in terms of applications. 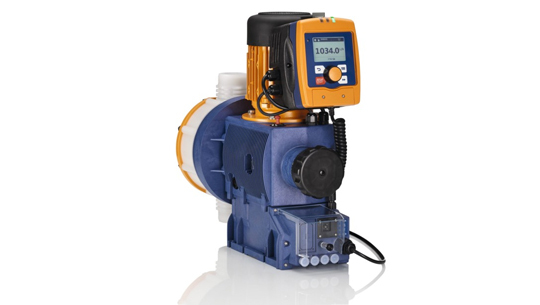 The Orlita® Evolution 2 meets the highest safety requirements as an extremely robust hydraulic diaphragm metering pump. It stands out, thanks to its PTFE multi-layer diaphragm with integral diaphragm rupture warning system and unique diaphragm position control. 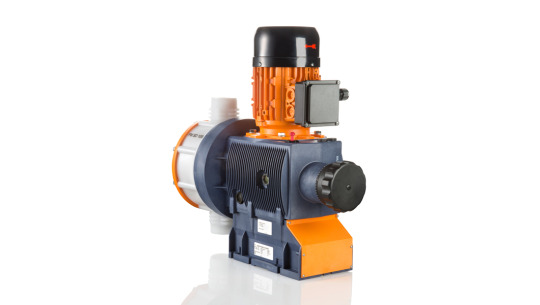 The Orlita® Evolution 3 meets the highest safety requirements as an extremely robust hydraulic diaphragm metering pump. It stands out, thanks to its PTFE multi-layer diaphragm with integral diaphragm rupture warning system and unique diaphragm position control. 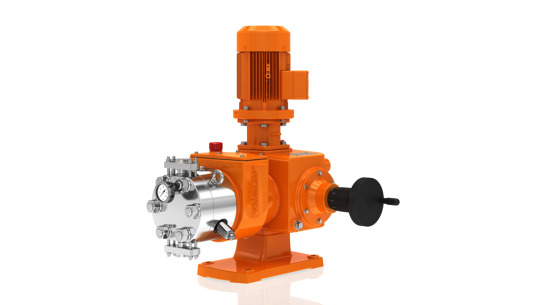 The Orlita® Evolution 4 meets the highest safety requirements as an extremely robust hydraulic diaphragm metering pump. 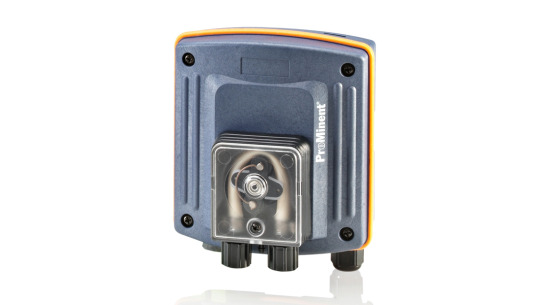 It stands out, thanks to its PTFE multi-layer diaphragm with integral diaphragm rupture warning system and unique diaphragm position control. 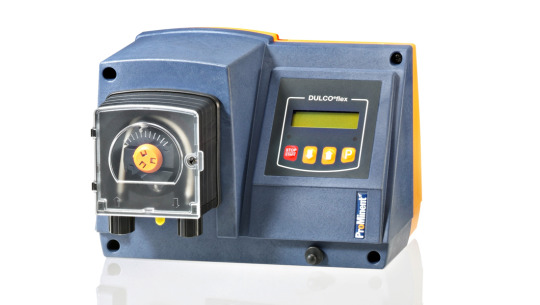 The peristaltic pump DULCO®flex DFAa (designed as a low-pressure pump) is suitable for metering the smallest volumes in laboratories. 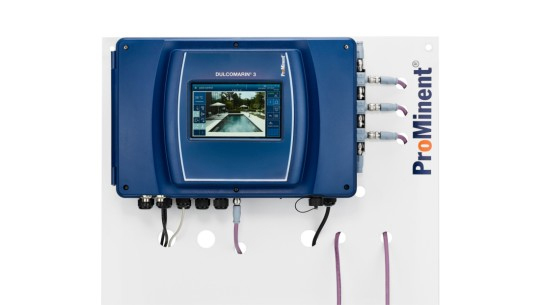 Fragrance metering in spa and wellness facilities: efficient and high-performance with the peristaltic pump DULCO®flex DF3a. They are used wherever small volumes of fragrances need to be metered. 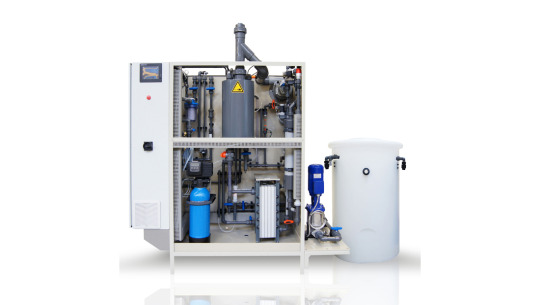 Efficient operation by economical operation: "Meters only when needed"
All the resources invested in technology research and development were well worth it, because when it comes to hygienically pure water, ProMaqua®products and systems are state-of-the-art. Flexible solutions for the production and metering of ClO2 adapted to our customer's tasks, requirements and anticipated pricing. Made-to-measure systems constructed from modules designed to work together. electrical components. There is no need to transport chemicals. No need to store or handle hazardous substances. Instead, sophisticated systems use harmless sodium chloride – ordinary salt – to produce chlorine, hydrogen and sodium hydroxide. Which means good news for the environment. 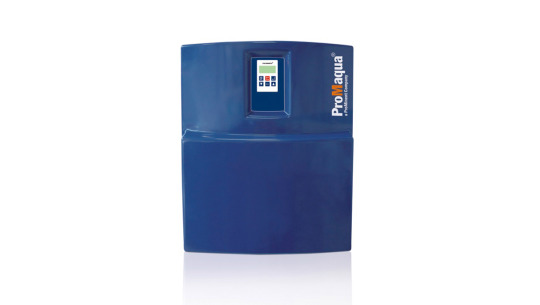 Electrolysis is an economically sensible and technically perfected alternative to the metering of sodium hypochlorite or other disinfectants. The chlorine can either be metered into the water directly as hypochlorous acid (HOCl) or temporarily stored with the sodium hydroxide in the form of sodium hypochlorite (NaOCl). Disinfection with sodium chloride is completely safe. 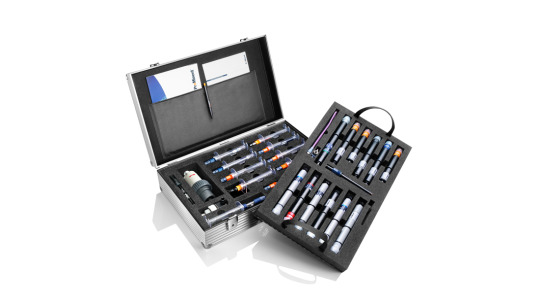 With ProMinent electrolysis systems you can confidently say goodbye to the storage, transport and handling of hazardous chemicals. 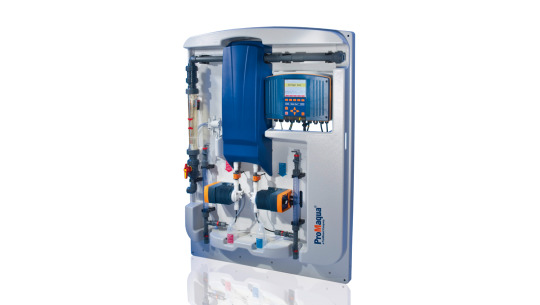 You can generate chlorine and perform pH correction with a single system (CHLORINSITU® IV Plus/compact). 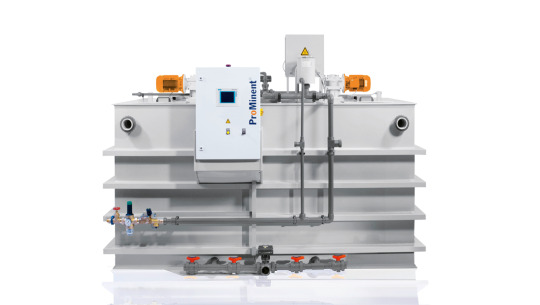 ProMinent electrolysis systems are negative pressure systems, so they offer maximum operating reliability. 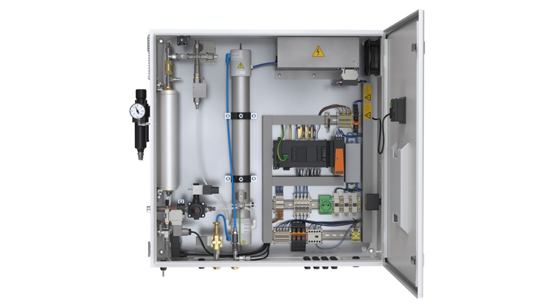 Electrolysis system CHLORINSITU® IIa with open cell electrolysis: improved efficiency through innovative design. cell with an innovative design. An exceptional quality of hypochlorite solution is achieved when the salt and power output is increased. 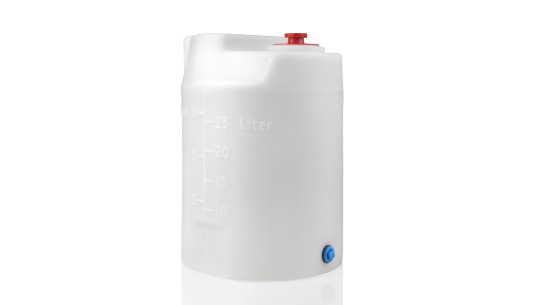 The special cell design thus reaches a chlorine concentration of 9 g/l in the product. The chlorate content of the product is significantly below the limit value specified in EN 901. All relevant system components are accommodated in a compact and space-saving housing. 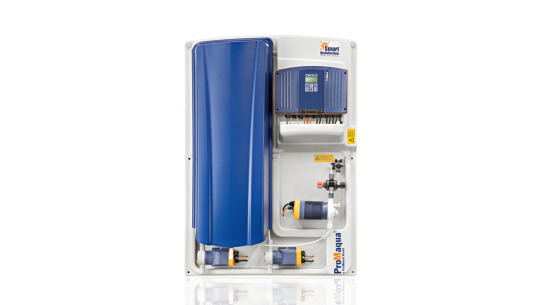 Integral hydrogen drainage enables the system to be installed without any need for specific ventilation requirements for the installation place (no ATEX). system has been consciously kept simple. Generation of sodium hypochlorite in smaller amounts for smaller swimming pools: Electrolysis system CHLORINSITU® III Compact. 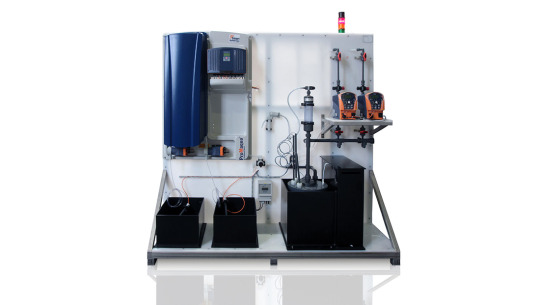 Electrolysis system CHLORINSITU® II: Robust, safe and economical system for areas where carry-over of sodium chloride into the water being treated is not a problem. Need sodium hypochlorite that is high-purity or low-chloride and low-chlorate? 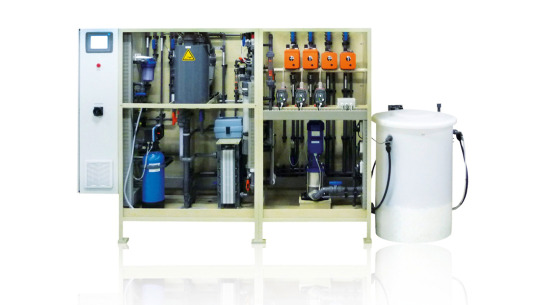 The electrolysis system CHLORINSITU® III is the solution. Can be used for potable water, waste water, process water, swimming pool water and in cooling towers. Generation of active chlorine in combination with a sodium hypochlorite solution using the vacuum process with the electrolysis system CHLORINSITU® V Plus. 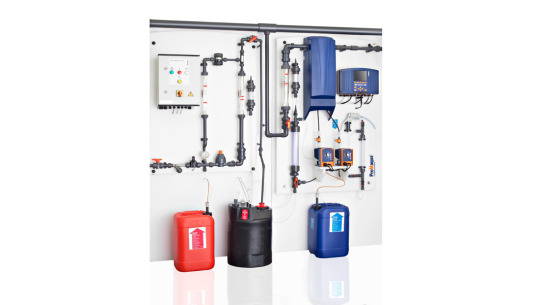 Chlorination and pH value adjustment from a single system. 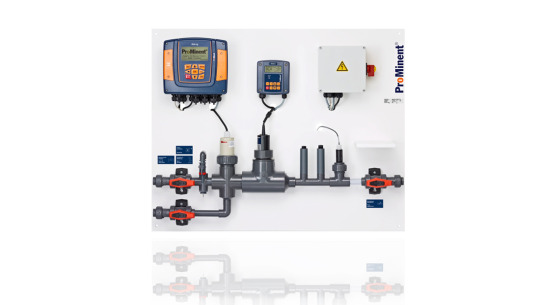 Generate ultra-pure active chlorine using the vacuum method with electrolysis system CHLORINSITU® V. Suited to applications for metering hypochlorous acid and simultaneously correcting the pH value. 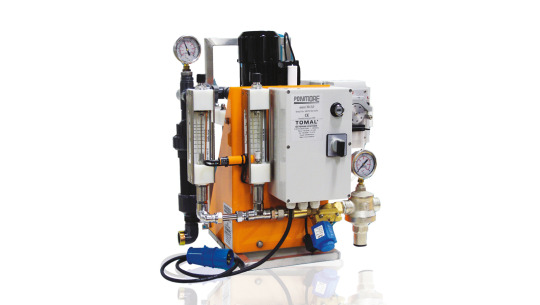 Ozone systems OZONFILT® OZVb are pressurised systems in which compressed air is fed into the ozone generator. concentrations within the water to be treated with values of between 3 and 12 ppm can be achieved using our coordinated mixing equipment with an efficiency of up to 95%. 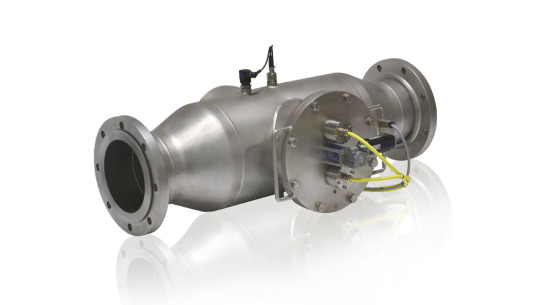 The OZONFILT® Compact OMVa is a complete, ready-to-use ozone system. The components are perfectly coordinated to each other. 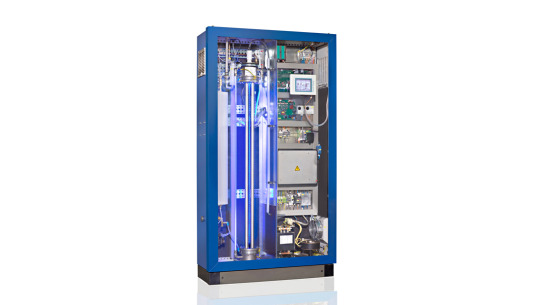 Excellent process reliability through the use of a pre-assembled, complete ozone treatment stage with perfectly matched components. A world first: precise lamp dimming in seconds – even with varying flows and water temperatures. Our patented Vario-Flux high-output lamps with dynamic lamp heating are used in the Dulcodes LP. 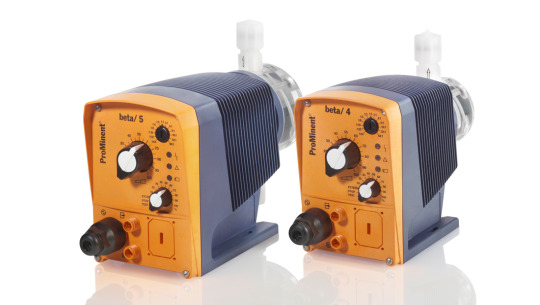 Thanks to the unique combination of electronic ballast technology and the Vario-Flux lamps, they can be quickly and precisely dimmed over a broad power range of up to 50% of the nominal electrical power. 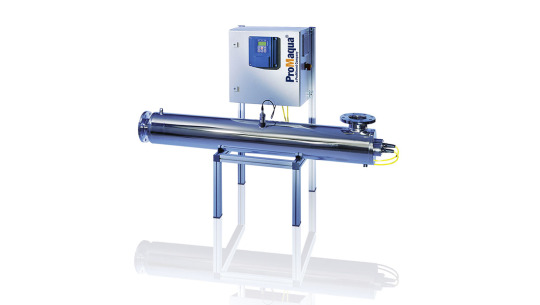 This ensures automatic adjustment to varying flows and water temperatures at all times. Efficiency even increases in dimmed mode, which has a particularly positive effect when the actual flow is below the maximum possible flow of the system. The flow in the Dulcodes LP has been optimised in a reactor based on intensive computer simulation. At the same time the pressure loss is kept minimal. The resulting uniform radiation dose without over- or under-metering of a partial volumetric flow leads to minimal use of energy, a minimum number of lamps and significantly reduced life cycle costs. 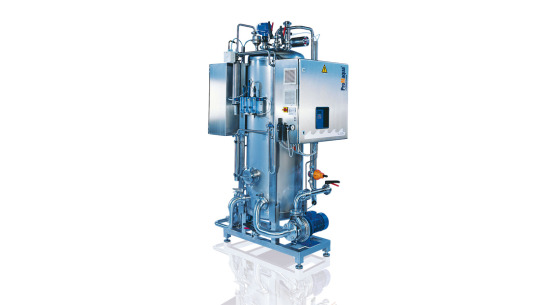 Disinfection of saline sea water or thermal water without corrosion problems caused by the UV system Dulcodes K. The UV system consists of a reactor and a UV sensor made of highly UV-resistant plastic. Highly efficient Opti Flux 290 W lamps provide maximum disinfection and flow rate with a minimum number of lamps. 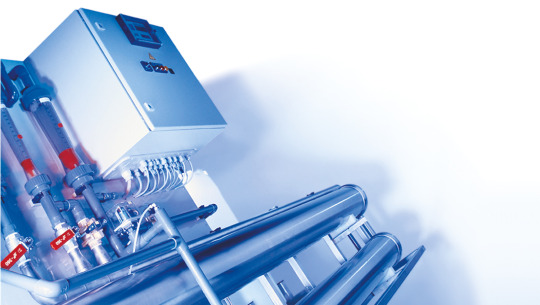 UV system Dulcodes R for the disinfection of potable, process and swimming pool water. 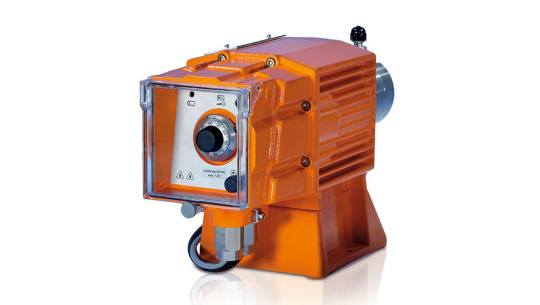 The system is used particularly when constituents, such as hardness, iron, manganese or organic substances, are present. Deposits are easily removed by the wiper mechanism even at maximum operating pressure without any need to interrupt operation. Cleaning without interrupting operation: the manual wiper is easy to operate even when the system is pressurised. Thanks to their self-sharpening function, the wiper elements deliver maximum cleaning and have a long service life. Electronic ballasts for gentle ignition and lamp operation: replacement lamps are kept to a minimum. The UV system Dulcodes S for water treatment and disinfection in swimming pools. Combined chlorine is broken down and the typical swimming pool odour is eliminated: no more irritation for eyes, nose and skin. A manual stage switch permits adaptation to the required capacity requirement. 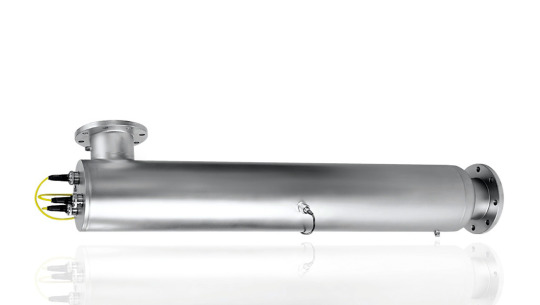 Maximum flexibility when installing, thanks to free choice of fitting position and direct installation in plastic pipes, as no UV radiation escapes from the reactor. Manual power control for optimum adaptation of the system to the respective capacity requirement (not for Dulcodes 1 x 0.65 and 1S). UV system Dulcodes W for the disinfection of pathogenic micro-organisms in potable, process or swimming pool water. Energy-efficient and excellent disinfection performance thanks to high-output lamps. 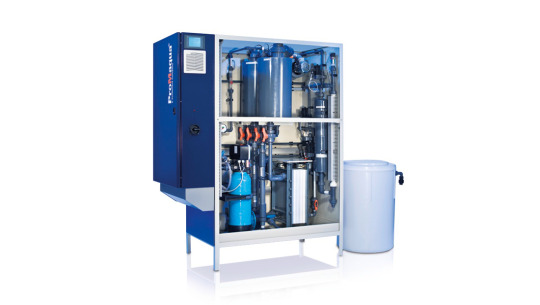 Compact system with excellent disinfection performance with minimum energy consumption. 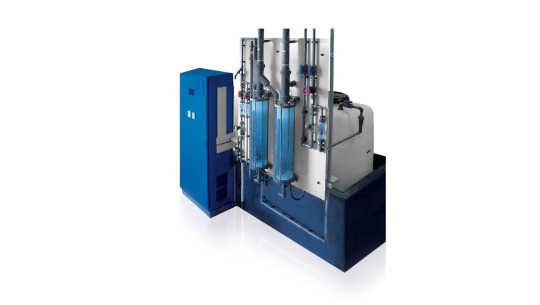 This is provided for by the hydraulically optimised reactor with low-pressure UV lamps arranged longitudinally to the flow. 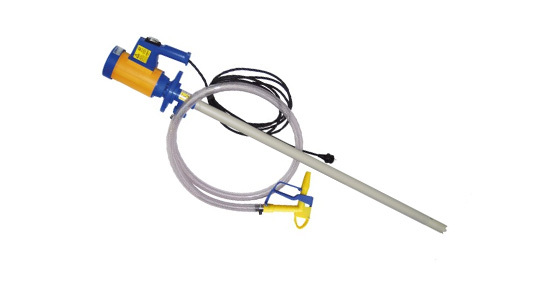 Long-term stable UVC sensor for monitoring disinfection capacity, contamination of the lamp protection tubes, lamp ageing and water transmission. Excellent output with fewer lamps. Energy-efficient high-performance High-Flux lamps up to 230 W permit greater flow per lamp. Operating costs reduced by longer maintenance cycles: guaranteed (pro rata) 10,000 operating hours. 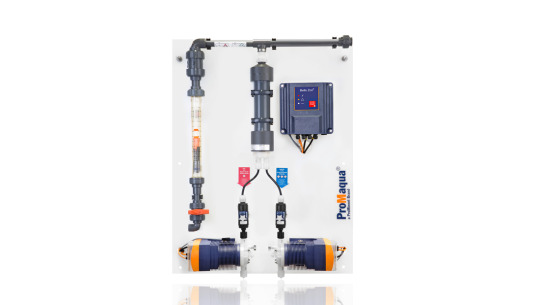 UV system Dulcodes Z for potable water treatment. Chemical-free disinfection, which conforms to all internationally established DVGW, ÖVGW and UVDGM standards. High-performance and energy-efficient high-output lamps. 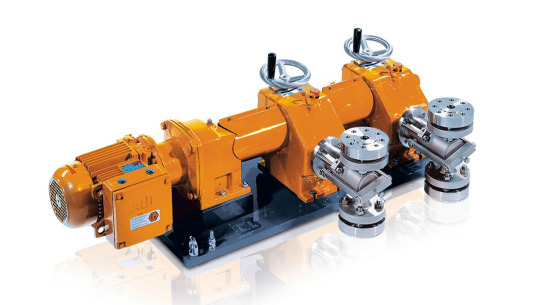 Flexible use over a wide transmission and flow range by extended DVGW characteristic line certification. DVGW-compliant, long-term stable UVC sensor for monitoring the disinfection capacity, contamination of the lamp protection tubes, lamp ageing and water transmission. Increased output with fewer lamps. Energy-efficient high-performance Opti-Flux 300 W lamps permit greater flow per lamp. There's nothing wrong with using individual components for liquid metering, but complete systems make a lot of things easier. Only a single supplier and contact is required. There are no interface issues between components. Some assembly steps become unnecessary. If requested the complete system can be supplied ready mounted. 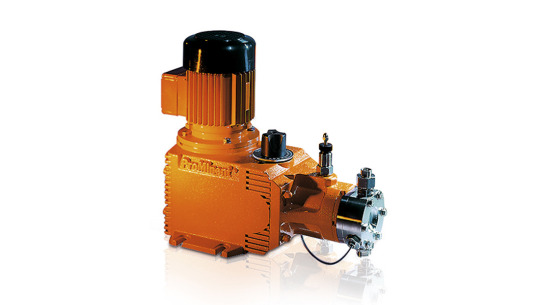 Then the complete metering solution simply needs to be connected to the hydraulic and electrical systems. Alternatively, the system can be installed and taken into operation on site by the ProMinent technicians. , controllers, sensors and tanks as well as system assembly. This enables us to fulfil our own goal of guaranteeing ProMinent quality. We are familiar with different applications, so we can offer fast, straightforward advice. Standard system? An application-specific metering system? An individual special system? Whatever the best solution for your requirements, we'll work with you to develop it. You only need to make one choice - the choice of the best quality. 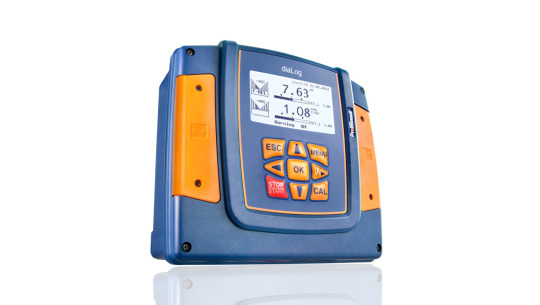 Our quickly available solution for your metering task. 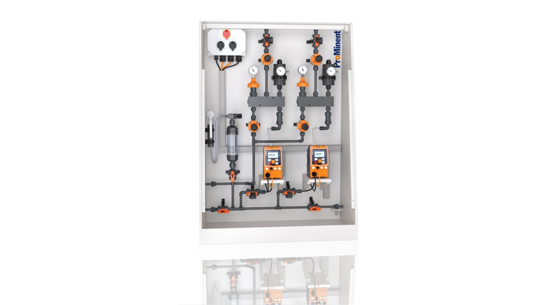 The metering system DULCODOS® panel is your convenient method for reliably metering liquid chemicals – and is available cost-effectively and extremely quickly, thanks to the preconfigured modules. , pipework, hydraulic and electric accessories, come from this. 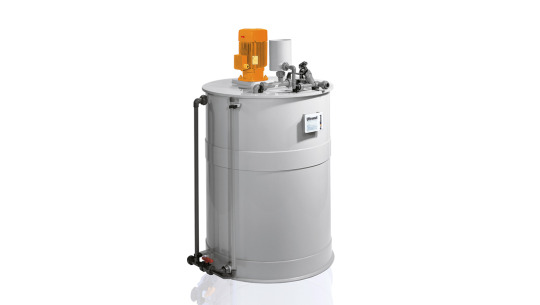 tank for controlled metering for complete operational safety. 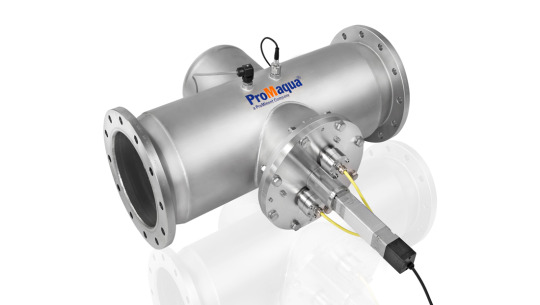 An inductive flow meter can also be selected. 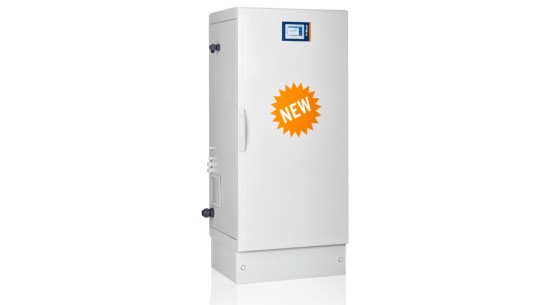 This simple configuration enables fast delivery and seamless commissioning. 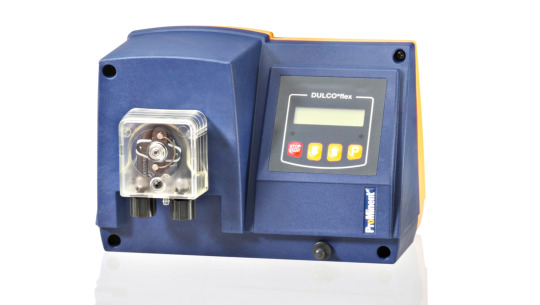 The metering system POLYMORE is the inline batching station in which the liquid polymer is introduced into the pressure-encapsulated multi-zone mixing equipment through a peristaltic pump. The result is a prepared and homogeneous polymer solution. 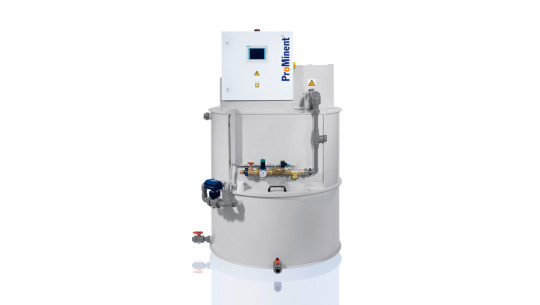 The metering system Ultromat® ATR (continuous flow system with round tank) is used for processing powdered polymers into ready-to-use polymer solutions. and KNX. 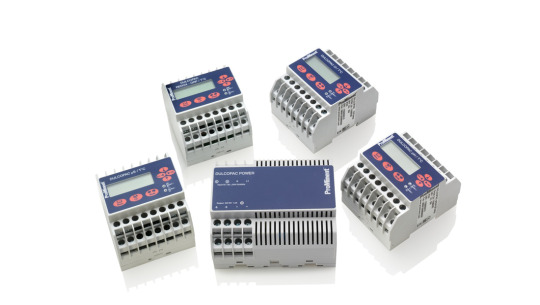 PROFIBUS® DP and Modbus RTU are available for connection to a PLC Programmable Logic Controller. Every DULCOMARIN® 3 module can be equipped with Wi-Fi for operation by tablet or smartphone. pH measurement with integral PID controller. 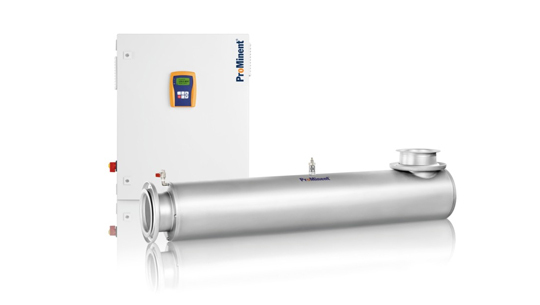 ProMinent is an expert in membrane filtration and supplies a wide range of high-quality system technology. Combined with the extensive ProMaqua® product range, made-to-measure solutions can be developed. 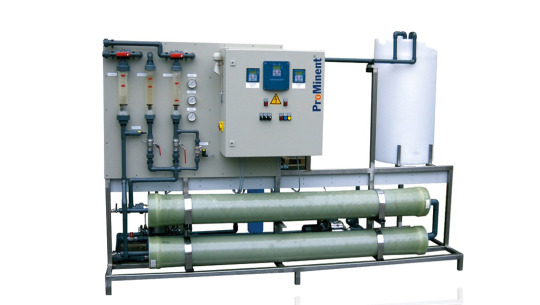 ProMinent membrane technology covers ultrafiltration, nanofiltration and reverse osmosis, including pre- and post-treatment precisely matched to the membrane system. If lower salt retention is acceptable, nanofiltration is a suitable choice. 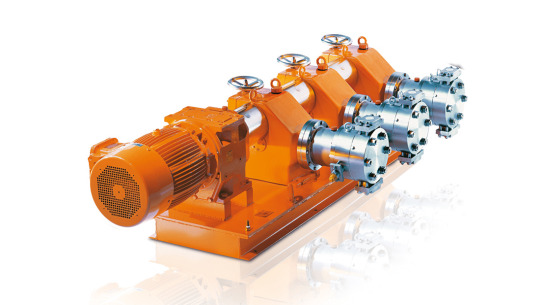 These systems can be operated at lower operating pressures and a smaller booster pump can be used, all of which reduces costs. You benefit from a) lower investment costs and b) even more importantly, lower operating costs. For more information or if you have any questions, contact us – we're here to help. 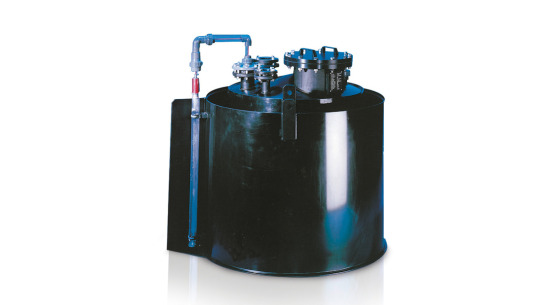 Of course we can also supply tanks and collecting pans constructed to meet your specific requirements. ProMinent's tank production facility is certified as a specialist company in accordance with WHG § 19 l. We also hold the general building authority approval Z-40.21-229, which entitles us to manufacture cylindrical storage tanks with an approval mark. 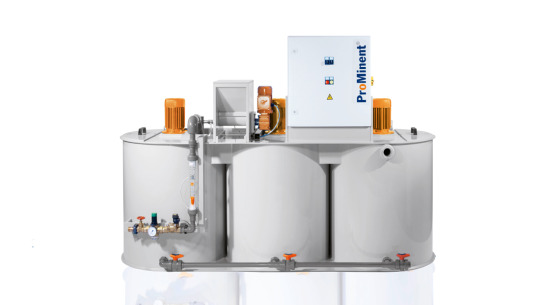 Our PE storage tanks comply with the German WHG. They are suitable for installation outdoors and indoors. If needed, storage tanks which comply with international approvals like KVU, VLAREM or KIWA may be supplied. Safe and reliable handling of chemicals. Protects and stores under legal specifications. ProMinent storage tanks all meet the requirements of the German Water Management Act (WHG), the Directive on Systems for Handling Substances Harmful to Water (VAwS) and the Approval Marks Ordinance. They also comply with the strict legal requirements governing the construction and operation of systems in which substances hazardous to the environment are stored and transported.